The Fraser River in western Canada is flowing with tiny time capsules. Inside them is a fascinating history of Earth’s landscape and climate. For the past four years, I have travelled across the river basin to gather these time capsules from the free-flowing Fraser. I can open them to reveal a geochemical journey that starts in the atmosphere, moves through plants and minerals, and sinks to the bottom of the ocean. It begins with carbon dioxide, a greenhouse gas in air. Raindrops soak up some of the carbon and convert it into an acid. The rain splashes the acid on mountain rocks, dissolving away tiny bits of minerals from the rocks. Carbon is also extracted from air and incorporated into plants via photosynthesis. Along its course, the Fraser drains sheer granite slopes, dry scrubgrass plateaus, and dense cedar rainforests, picking up material and creating a cocktail of rock and plant debris. Carbon from both rock and plant remnants flows into the river and is carried into the ocean, where it eventually accumulates on the seafloor. Radioactive atoms slowly ticking away inside rock minerals record how old the rocks are. 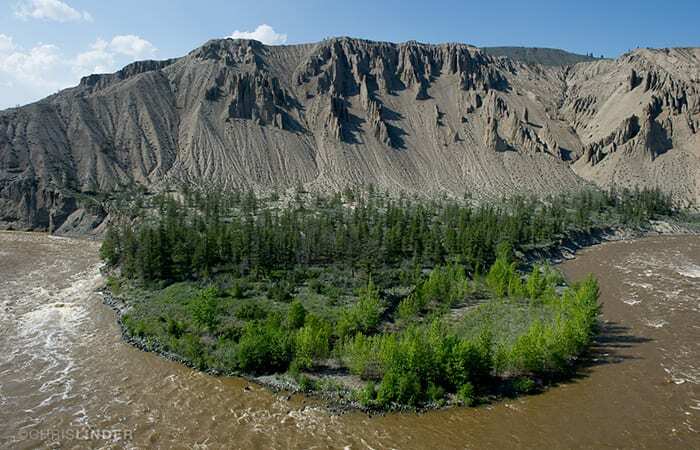 They tell me whether the rock material in the river originated in the Rocky Mountains, where rocks are hundreds of millions of years old, or in the Coast Range, where they are mere tens of millions of years old. By analyzing samples of water and sediments in the Fraser, I can track where materials carried by the river came from and how much carbon dioxide different regions remove from the atmosphere. I can piece together how rocks and vegetation are broken down and transported to the ocean; whether the plant-derived matter hops on and off along the route; and ultimately, how this complex process influences Earth’s climate. 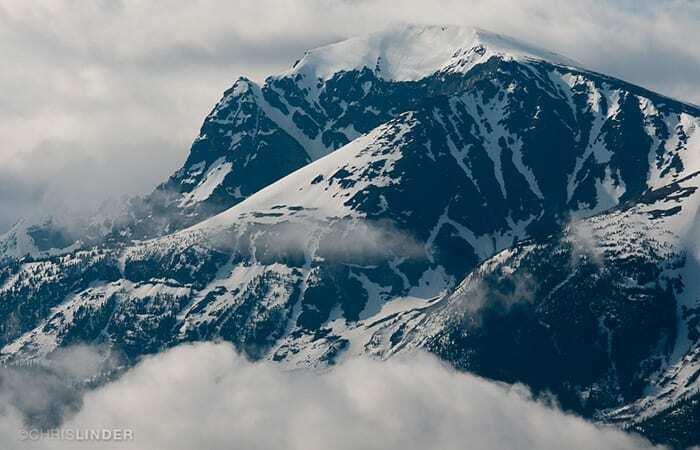 The story begins in the highest reaches of the Fraser River’s headwaters with the seasonal melting of glaciers grinding away at the Rocky Mountains and the Coast Range. Every snowflake and raindrop that falls somewhere in the Fraser River basin absorbs a tiny amount of carbon dioxide from the atmosphere. The carbon dioxide reacts with water to form carbonic acid. The acid, in turn, reacts with carbonate and silicate minerals, chemically converting them into calcium, silica, and bicarbonate that dissolve in water like table salt. This process, called “chemical weathering,” effectively sends dissolved remnants of rocks—my time capsules—into the Fraser. Minerals in rocks are mostly made of geometric scaffolds of calcium, carbon, silicon, and oxygen atoms; every once in a while, however, a rogue element from the hinterlands of the Periodic Table will substitute for one of the more common elements and infiltrate the scaffold. Strontium is one of those rogue elements. It behaves much like the more abundant elements in the environment and comfortably resides in places where calcium fits in mineral structures. For geochemists like me, that provides a lucky break. One particular isotope of strontium, strontium-87, is produced by the constant radioactive decay of rubidium-87 in rocks. It takes millions of years for detectable amounts of strontium-87 to build up in minerals, which makes it an excellent tool for determining the birthplace of river-borne material. 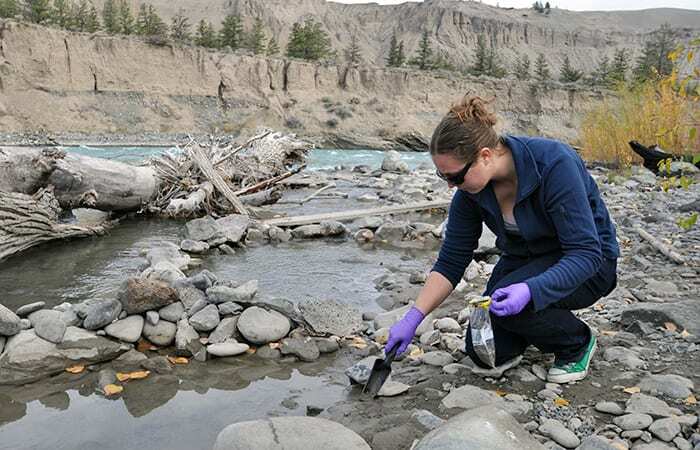 When I collect a water sample in the Fraser, its strontium-87 signature tells me how much material came from older rocks in the Rockies that have accumulated more strontium-87 or from younger rocks in the Coast Range. The bicarbonates produced by chemical weathering also play an important role in the big picture. When they reach the ocean, certain photosynthetic algae can use them to build hard shells. When these algae die, their shells—and the carbon in them—sink to the seafloor and become buried in sediments. Hence this slow trickle of carbon from the atmosphere—through rivers to the ocean and finally into marine sediments—extracts some carbon out of a rapid cycle that circulates carbon between air, land, and sea. It puts that carbon into Earth’s crust and a much slower-cycling system that will not to return it to the planet’s surface for many millions of years. Over thousands or millions of years, if chemical weathering removes carbon from the atmosphere faster than it is added, atmospheric carbon dioxide levels gradually go down. But any long-term cooling trend caused by increased weathering has been overwhelmed by the surge of industrial carbon dioxide that people have been adding to the atmosphere since the Industrial Revolution. The sediments also transport organic carbon, the residue of dead plants, bacteria, and algae. I am analyzing how much of this carbon is consumed by organisms along the way and removed from the river, and how much continues downstream and finds a long-term burial place in marine sediments. 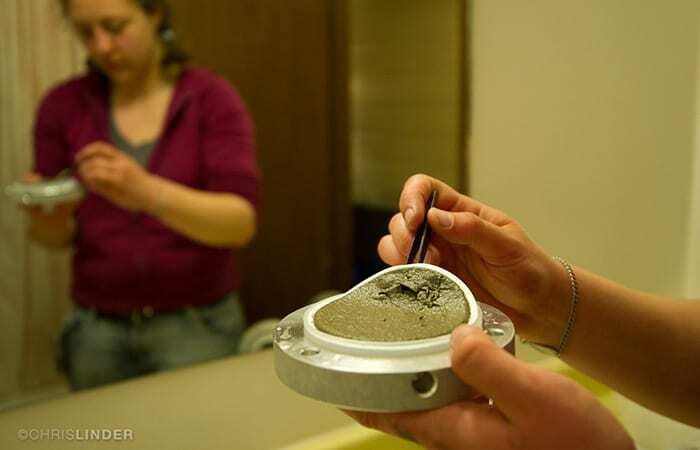 Carbon that does make the full journey to the seafloor also represents an efficient means of moving carbon from the atmosphere to ocean sediments. 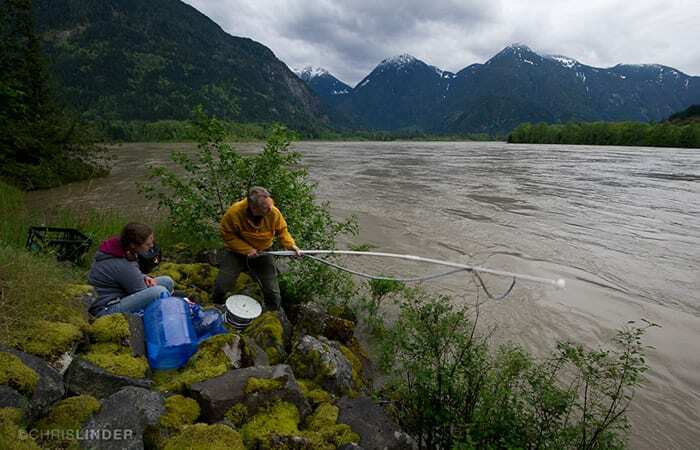 The Fraser River is more than just a research site to me. This watershed is a microcosm of North America, with frozen mountain peaks, parched plateaus dissected by jagged canyons, and narrow floodplains pinned between steep slopes of verdant forests. It is a window into the past, with its small towns harkening to the days of railroad, mining, and logging rushes. Most of all, it is a lesson about how the precious gifts of a river can sometimes trump the human hunger for resources. Exploring its landscape and seasons during field campaigns, I’ve come to know the Fraser basin better than I know my own home state of Washington, just across the Canadian border. And I’ve looked with new eyes on the Fraser’s cousin, the Columbia River, which was always flowing in the background of my childhood. The Columbia reveals what might have been the Fraser’s fate. Beginning in the 1930s, the Columbia River was pressed into service by the thirst for cheap electricity, nuclear power, and irrigation for crops. Today, not a drop moves through its course except at the will of the hydropower engineers, and the once mythic salmon runs have been reduced to a trickle. The Fraser River, on the other hand, remains almost entirely free-flowing, despite its vast potential for power generation. It, too, faces environmental challenges, including a devastating pine beetle infestation that has killed huge swaths of its northern forests in the past decade, ongoing pressure for hydropower installations, and salmon runs that oscillate between boom and bust years, with a tendency toward bust. 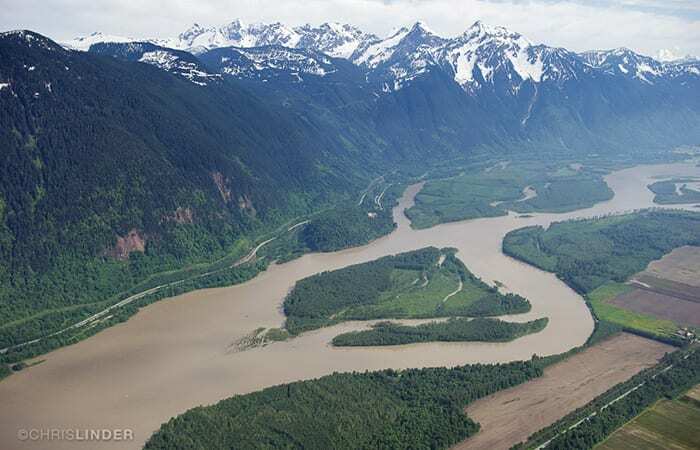 But compared with the Columbia and most other large rivers around the world, the Fraser still flows naturally, driven only by the freezing and thawing of glaciers and the occasional storm rolling in off the Pacific. 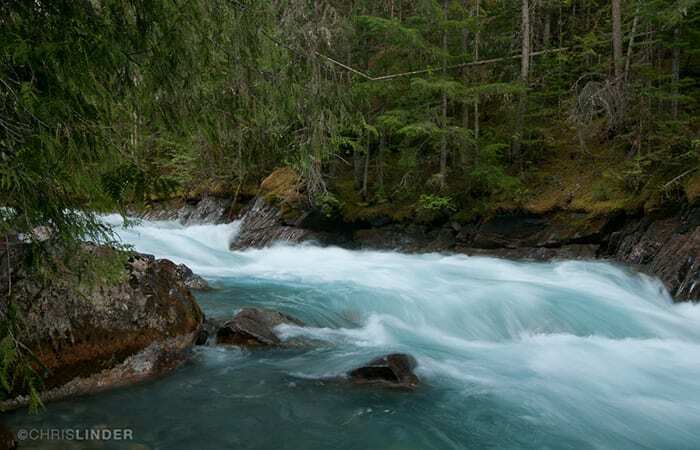 The spring freshet, when winter snow and ice melt, releases a deluge of water that sweeps soil, rock flour, and plants into the river channel and dumps all of the last year’s debris into the ocean. One crisp morning last April, as I sat on a frost-covered dock to collect samples near the river’s mouth, I watched in awe as a tree the size of a small house floated by, roots and all, in perfect silence. Not long after, the usually barren canyonlands of the interior turned emerald with fresh growth. 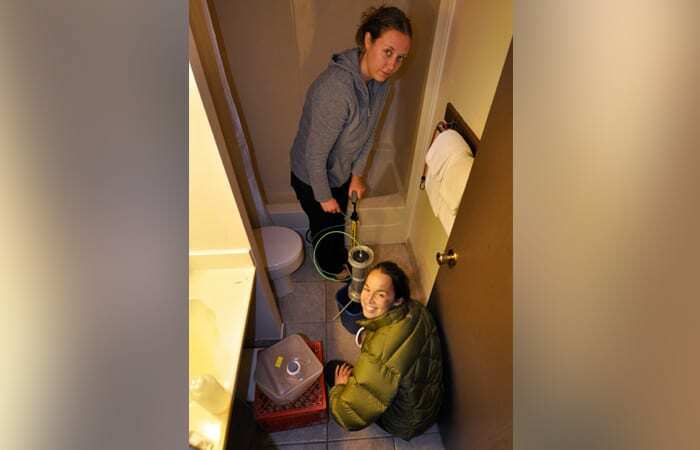 By September, the seemingly endless rainy season had soaked the lowlands and the first flakes that would become part of next year’s freshet began to accumulate in the mountains. It’s the beauty of these cycles that brings me back to the Fraser, trying to unlock the secrets carried by the muddy waters. Wherever Fraser River water and sediments go, I’ll be there to hunt for my geologic time capsules, trying to piece together the story they tell. 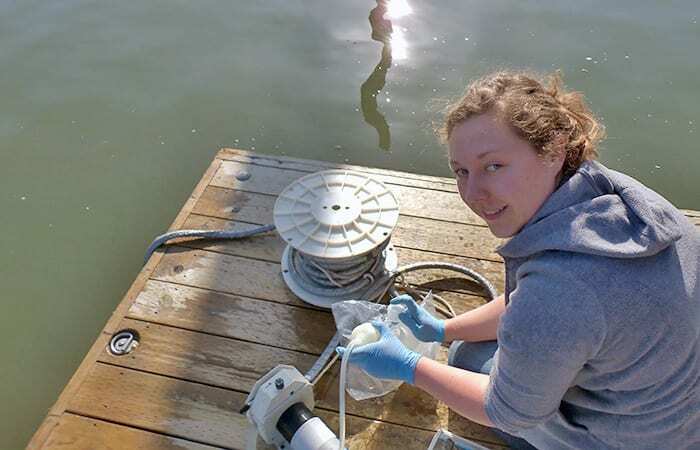 This research was supported by grants from the National Science Foundation, the WHOI Coastal Ocean Institute, the WHOI Ocean Ventures Fund, the MIT Houghton Fund, and by WHOI Academic Programs.